Finding inspiration can always be a challenge, and believe it or not we need inspiration for everything we do in our lives – to cook, to shop, to work, to create, to raise our kids, to have a happy relationship, to explore our spiritually – inspiration is the fuel that drives us to explore deeper, create more freely, and expand and live our lives with joy. I love this blog post from The Simply Luxurious Life that gives us 33 simple tips to find inspiration when we get bogged down or perhaps just going through a dry spell! “33 Ways to Find Inspiration” – is a good read and will hopefully open your mind to allow those ideas to fly out unhindered! I hope you will enjoy it as much as I did. One of the questions that friends and clients ask me about my work is Where do you find your inspiration. I’m always a bit befuddled by this question, as I’ve always simply taken for granted that my mind is overwhelmed with ideas, questions, possibilities and at times seemingly absurd dreams incessantly. But because the question comes up so often, I thought I’d take some time and write down exactly where I find my inspiration. And I hope what you discover is that you have inspiration dancing around in your mind more so than you at first realized. One of the most important directives when it comes to finding inspiration comes from Jack London’s above quote. Inspiration isn’t looking for us, so we must get up and do something in order for it to dance into our minds. In other words, we must sing for our supper. After all, we all live in the same world as Beethoven, Claude Monet, Henry Ford, Oprah Winfrey, Rachael Ray and the long list of individuals who were inspired to tap into their gifts. And as we all have our very own unique gifts, we must trust that the universe is eagerly wanting us to seek the inspiration that will unwrap our gifts. But in order for this magical adventure to begin, we must take action, and that is why I begin with the number zero. The following 33 will not be able to reveal their pixie dust unless at first we are genuinely curious about this thing called life. So have a look. If you ever find yourself needing inspiration for your next project, your upcoming remodel, a change in how to do your job more effectively, or how to improve your life in general, give one of these a try. They’ve all worked at one point or more for me. 3. Spend time in nature – take a hike in the woods, a stroll on the beach, find a bench in a park or take a bike ride outside of town. 24. Read an autobiography by someone who inspires you. See the world through their eyes. 26. Keep a journal – look back through older journals to see how far you’ve traveled as a person. 28. Plan a day with no appointments or responsibilities – let your mind wander. 29. See the world through your children or your pets eyes. Appreciate the simplicity and ability to appreciate the present moment. 33. Reflect on activities you once loved as a child or as a young adult. Make time to include them in your life again – at least once, to remind yourself why you enjoyed it so much. Life is an amazing, surprising journey that offers so many wonders if only we choose to take actio, and refuse to simply exist. While it has been said many times that success in life is 1% inspiration and 99% perspiration, that prerequisite inspiration is needed. And the good news is, it’s everywhere we look. 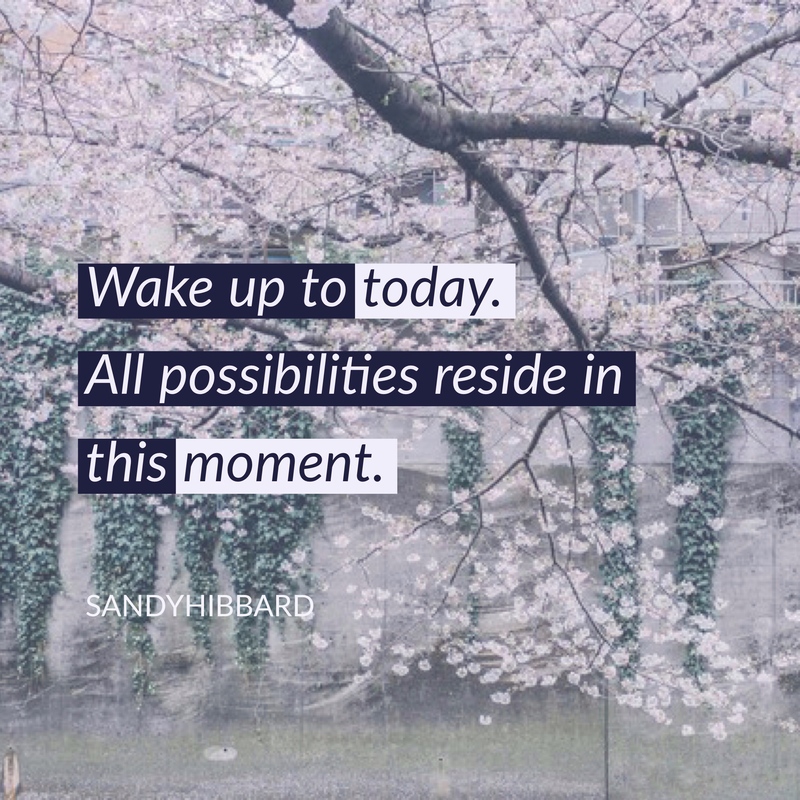 We simply need to open our eyes and become as present in the moment as possible. The post 33 Ways to Find Inspiration appeared first on The Simply Luxurious Life®.